I had a taste for some Panda Express chicken but didn’t have a taste for leaving the house or paying for it. So I decided to adapt a recipe of my own using their Mandarin Chicken as my inspiration. 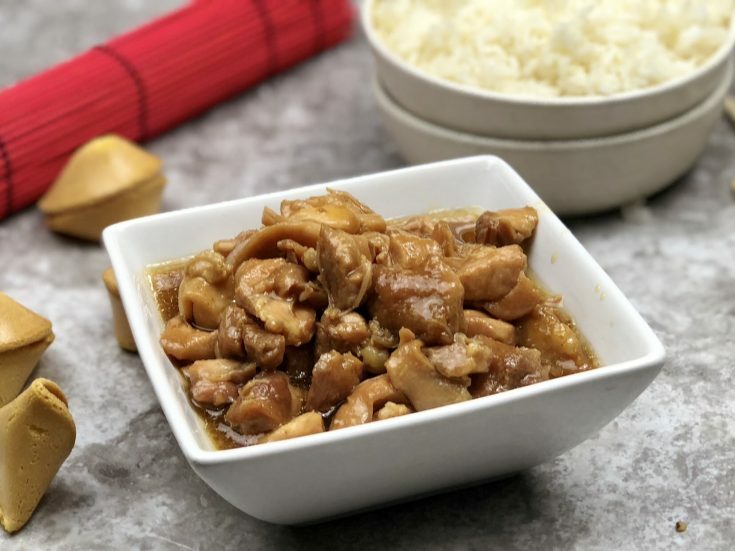 So today Instant Pot Copycat Panda Express Mandarin Chicken was born. This recipe turned out great. The taste is as authentic as going to the restaurant and buying it, and I am sure this is much more healthy. My recipe for Instant Pot Copycat Panda Express Mandarin Chicken is really simple to make. My instant Pot is forever making my life easier, and I totally love making copycat recipes. Here are a few others I have done Copycat Hidden Valley Ranch Packet Recipe, Copycat Air Fryer Chick fil A Nugget Recipe, Copycat Taco Bell Air Fryer Crunch Wraps Recipe, Copycat Starbucks Sous Vide Egg Bites Recipe, Copycat TGI Fridays Mashed Potatoes in The Instant Pot and you can find a few more here. If you are still on the fence about your instant pot, the millions of recipes alone are plenty of reason to get it out of the box or to buy you one. 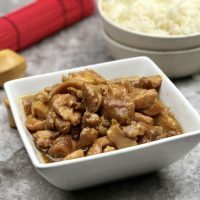 This Panda Express chicken recipe is great served over rice, either white or fried, or with noodles. I like to have mine with both. 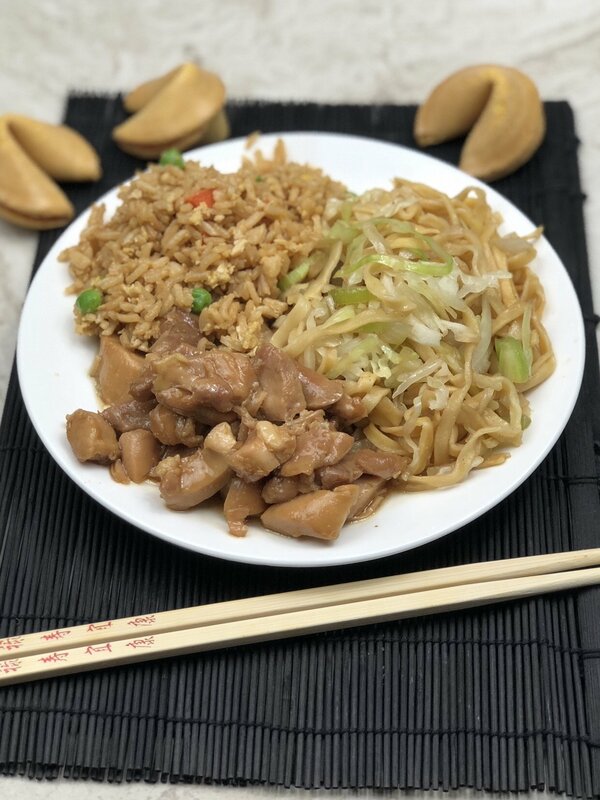 Throw in a few fortune cookies and some chopsticks and you have an authentic Chinese meal made at home. The rice is just as easy to make at home. I love to make rice in my instant pot to, it’s so easy. It’s like I said before, just set it and forget it. 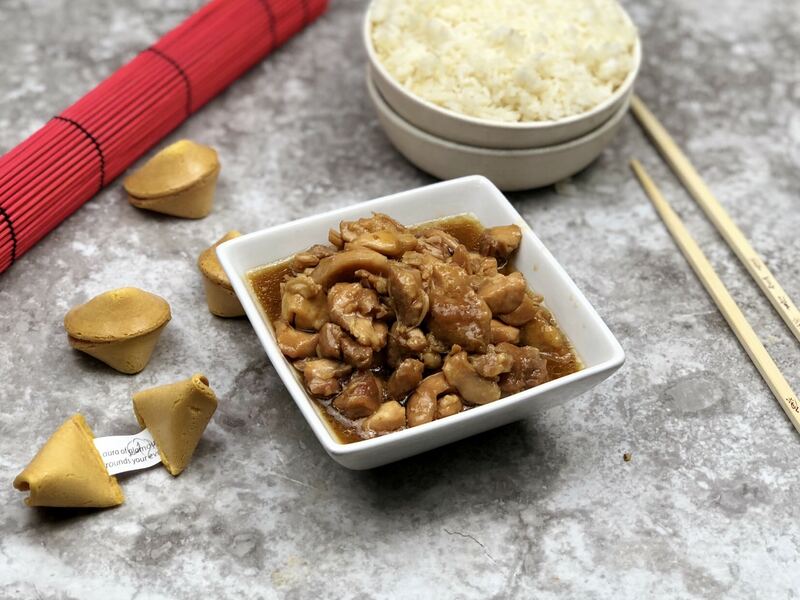 I’m sure now that I have this Instant Pot Copycat Panda Express Mandarin Chicken, Panda Express chicken is a thing of the past. I can make way more at home for way less than it would cost me to go into the restaurant. And even better, I can’t stand having to stand in line ANYWHERE, so more cooking at home definitely eliminates the lines. All in all this is a great recipe, I will be making it over and over again, and I am sure you will too! Need more amazing recipes? Check these out. I had a taste for some Panda Express chicken but didn't have a taste for leaving the house or paying for it. So I decided to adapt a recipe of my own using their Mandarin Chicken as my inspiration. 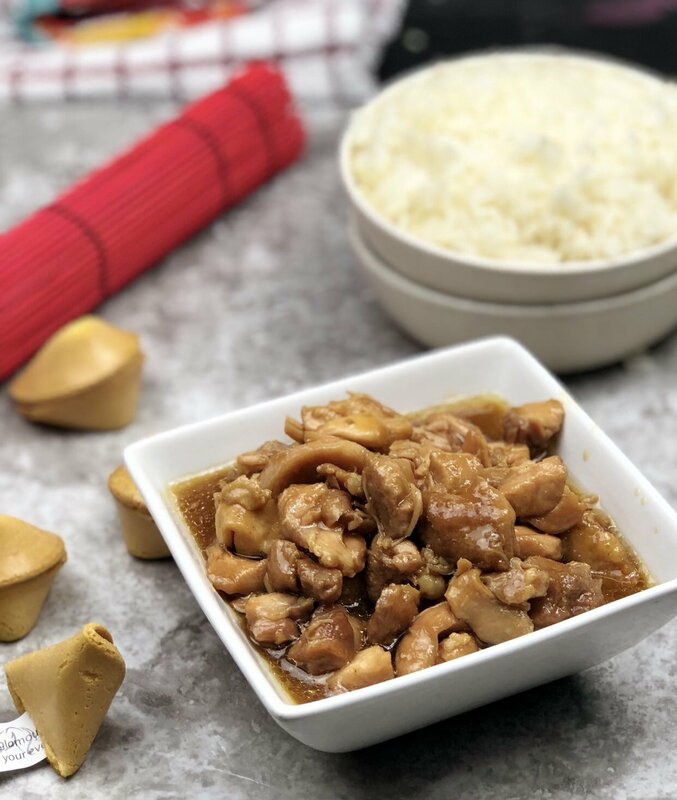 So today Instant Pot Copycat Panda Express Mandarin Chicken was born. Press saute and allow to heat. Drizzle in olive oil to hot Instant Pot. Add the chicken to the pot and saute about 3. In a bowl add sugar, soy sauce, lemon juice, garlic powder, ground ginger. Pour mixture over the chicken and stir. Press manual high for 10 minutes. While waiting mix cornstarch and water. Once the pressure has released remove lid and pour over the cornstarch mixture. Allow to cool 5 mins and serve over rice or noodles. Nice round-up! I am still a little intimidated of my Instant Pot, so I love any and all help I can get! I just made this and it is SO GOOD. I served it with steamed broccoli and my kids liked the sauce so much they both asked for seconds on broccoli – which is unprecedented in this house. I had another copycat recipe of this that I used to make in a skillet but this one is quicker, easier and turned out so much better! Thanks for the great recipe! Im so glad you liked it.